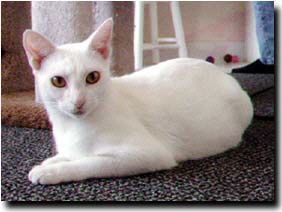 Mommy is deaf; very sweet, young (about 1-1/2 years old), vocal and able to be with other cats. White Baby is a girl, possibly deaf. Gray & White is a boy. As always, we suspend adoptions until after the Holidays.